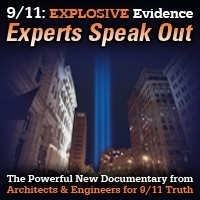 Monday, Sept. 10th, New York City: 6:30 p.m. (May be moved back to 6:00) to 8:00 p.m.
Lawyers’ Committee for 9/11 Inquiry (LC) Event announcing the filing the next morning, Sept. 11th, of the Mandamus action requiring the U.S. Attorney for the Southern District of New York to ‘do his duty’ to convene a special criminal Grand Jury per the Petition filed with the Court on April 10th. Five or more LC Board Members will participate as well as Richard Gage who, with Attorney Mick Harrison and others of the Attorneys, will give a summary of the WTC 1, 2 and 7 Evidence in the Petition. 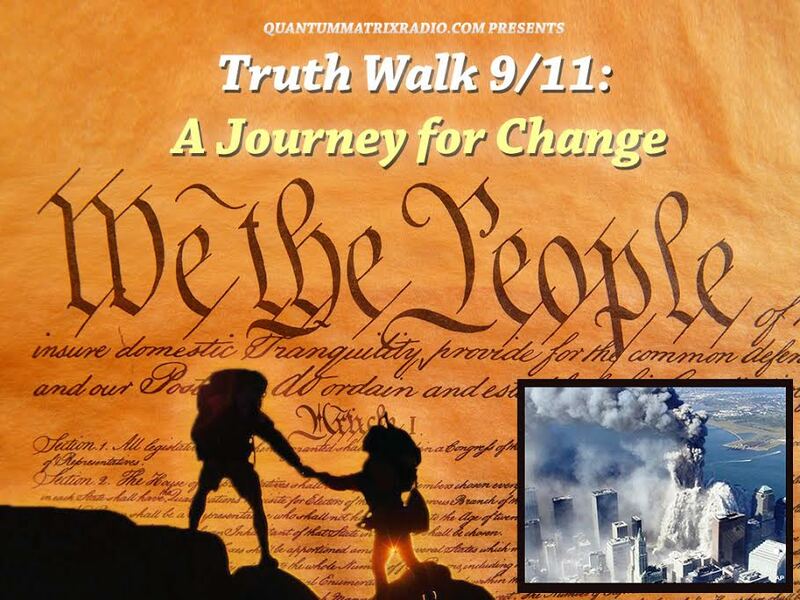 The Event will be live-streamed by NoLiesRadio.org and piped live into Courthouse Vigils being organized in cities around the country by the 9/11 Truth Action Project (TAP). For more information about the Vigils, which are independent of the main LC Event in NYC, and/or to set one up in your city or town, go to the 911TAP.org site and/or contact Bill Jacoby: wsjacogy@hotmail.com. The video of the LC Event in NYC will also be archived at the NoLiesRado.org website afterwards. There may also be an informal gathering event in the Jefferson Market Library Garden next to the building beginning at 4:00 p.m. on Monday Sept. 10th but this is still being determined. More details will be forthcoming as they firm up. The ‘9/11 Truth Truck’ with huge Video Screens on both sides will drive around NYC for 8 hrs starting with the official ‘Reading of the Names’ Memorial Service of the approximately 3,000 victims of 9/11 on the Theme ‘9/11 Killed 3,000. The 9/11 Wars Have Killed Millions’ with The ‘Reading of ALL The Names’ – of Afghani, Iraqi, Syrian, Yemeni, U.S. Service Member, etc. 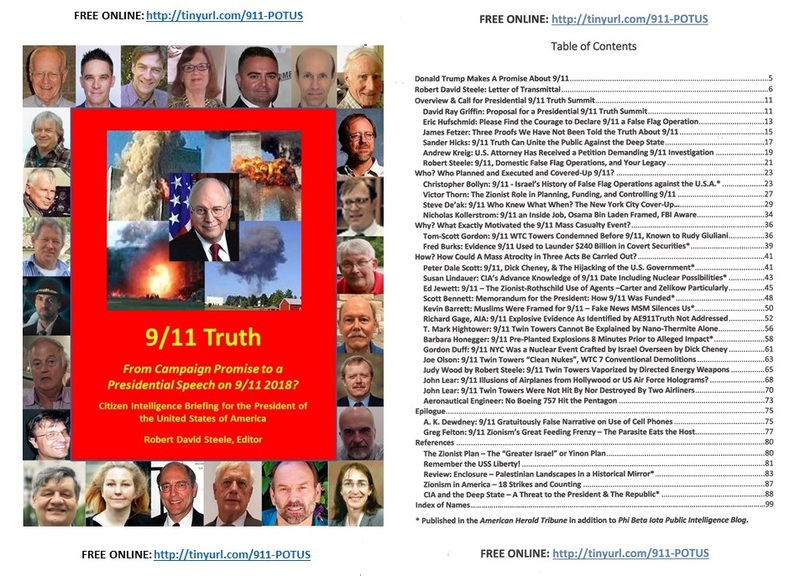 victims of the illegal unilateral 9/11 Wars based on the Official 9/11 Lie. Outdoor Event at the 9/11 Tiles for America Memorial in West Village not far from the Jefferson Market Library, the venue of the main LC Event the night before, put on by Dusty Berke of West View News and the official owner of the 9/11 Tiles, with live music. West View News, a monthly and one two local Manhattan papers, published an Op-ed by the Lawyers’ Committee for 9/11 Inquiry in its June 1st issue: http://westviewnews.org/2018/06/conspiracy-theory-hide-conspiracy/ Be sure to scroll to the bottom and post a Comment. The main audience for the Comments is the Publisher whose mind is critical to open and bring around to 9/11 Truth so that he publishes much more in the future. Time TBD. Gene Laratonda may be planning some kind of demonstration at WTC-7. For update contact Gene: laratonda.gene@gmail.com. Permit obtained for 1-3 p.m., check www.ae911truth.org closer to Sept. 11th for actual start time: Architects & Engineers for 9/11 Truth Event on the Capitol Hill Mall with Richard Gage and Cynthia McKinney. Also inviting Jesse Ventura but not yet confirmed. Attendees may continue to the Busboy and Poet pub/cafe and event center following the Event. A&E will also be setting up appointments with the offices of Membersof Congress to again, as last year, lobby for sponsors for the Bobby McIlvaine WTC Investigation Act. Anyone interested in participating in these office visits should contact Richard Gage: rgage@ae911truth.org. Kevin will have a table in the lobby—drop by and say hi! and the Flyer with the Table of Contents listing all the Memos is below. Steele plans to deliver the first group of Memos posted at the site to Trump at the end of this month, July. Given Trump’s huge ego and the recent joint calls by FOX News ‘Trump TV’ and Alex Jones’ InfoWars that the President should lead a ‘Mueller covered up the Saudi Connection to 9/11’ Campaign – ‘Did Mueller prevent 9/11 families from suing Saudi Arabia?’ Fox News, July 2, 2018 and ‘Trump To Torpedo Deep State by Releasing 9/11 Information’, InfoWars, July 3, 2018 — Barbara believes he could actually be tempted to hold the live televised Presidential 9/11 Truth Summit that Steele is calling for and also make 9/11 Truth the focus of a live Speech to the Nation on Sept. 11th. But, She warns, if he makes the focus the claim that ‘Mueller covered up the Saudi Connection to 9/11’ that it will backfire as there is zero evidence that any of the alleged 9/11 ‘hijackers’, including the 15 of the 19 who were Saudis, ever got on any of the 9/11 planes and compelling evidence that the planes that left the airports are not the planes that reached the targets, i.e. that no ‘hijackers’ were on the planes at the targets in any case. 3) We covered the explosive sworn jurat affidavits Barbara has recently obtained from two new critical 9/11 witnesses — Gordon Ferrie re the Pentagon and another, whose name needs to be kept confidential for the time being for his protection, who was visited by Prince Bandar and one of the two alleged Pentagon plane ‘hijackers’, Hawah al Hazmi, both of whom are at the center of the case against Saudi Arabia by c. 6,000 9/11 Victims’ Family Members now allowed to go forward due to the release of the 28 Pages and the passage of the Justice Against Sponsors of Terrorism Act, JASTA. Ferrie’s sworn jurat affidavit, sworn under penalty of perjury, is below, along with his sketch of the large four-wheel landing gear assembly from a white plane approximately 2/3rds to 3/4s the size of a 757, meaning that it could not have been Flight 77, a 757, as claimed by the official story, that he observed for an hour on the Pentagon lawn. At the bottom of the affidavit is a photo of the landing gear assembly of a 757 to show what the one he saw on the Pentagon lawn looked like but which was somewhat smaller, and below that is an aerial photo of the West side of the Pentagon with Ferrie’s ‘X’ at the approx. location where the landing gear assembly was on the lawn to the left/north of the helipad. Barbara’s YouTube documentary ‘Behind The Smoke Curtain’ details the many other lines of evidence that the plane that was destroyed at the Pentagon was white and smaller than a 757 and therefore not Flight 77; destroyed over five minutes before the official story says Flight 77 was anywhere near Washington; and destroyed near the helipad which is precisely where Ferrie observed the large landing gear assembly to the left/north of the helipad on the lawn. 4) In the second hour we covered the extremely dangerous political polarization of the country that is being exacerbated on both sides by Trump and the MSM with the mantra of ‘Blue vs. Red’ States just as the Civil War was fought between ‘Blue States’ and ‘Gray’ States. 5) Barbara then detailed the extreme danger the Kavanaugh nomination for the Supreme Court poses to the Nation. Ed Meese, Reagan’s former Chief of Staff and Attorney General with whom she personally worked in the White House, is personally behind the ‘List of 25’ judges from which Trump promised to, and has, drawn his nominees for the Supreme Court, both Gorsuch and now Kavanaugh (who was the replacement for Gorsuch on the list and was not on the original list of 25) also promising that all on the list would ‘overturn Roe v. Wade’. The ‘abortion’ issue is at the core of the dangerous political polarization in the country just as slavery was before and during the Civil War, but it is forced pregnancy that literally is forced labor and is the equivalent of slavery. Listen to Barbara and Kevin exchange very different views on this issue! Were Kavanaugh to be confirmed and cast a fifth vote against Roe v. Wade and in favor of forced labor/pregnancy it would be the spark that would ignite a new Civil War whose true goal by the ‘Red’ side is a desperate and last resort attempt to return to the pre-Civil War days of white supremacy over blacks (and anyone who isn’t white) and (white) male supremacy over women. 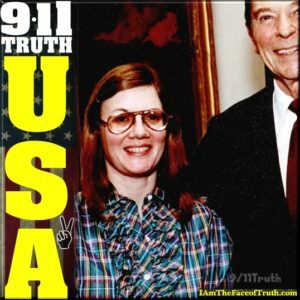 The proof, Barbara reveals, is her inside knowledge of the Reagan-Meese White House and Dept. of Justice where She knows from personal experience that Meese — and the Heritage Foundation and Federalist Society of which he is the real leader – that their secret goal is TO OVERTURN THE 14TH AMENDMENT, the fruit of the Civil War, ITSELF. Trump Administration officials have already gone public against the ‘birthright citizenship’ guarantee of the 14th Amendment (‘Citizenship Shouldn’t Be a Birthright by Michael Anton, July 18, 2018, Washington Post ) which Trump said in campaign speeches is ‘wrong’, but this is just the first assault on this most important Amendment to the Constitu-tion which guarantees due process and equal justice under the law to every American citizen. Meese has also said publicly, in his keynote speech to the American Bar Association while Barbara was in Washington, that ‘We’ — i.e. the Federalist Society and Heritage Foundation which chose the 25 judges on Trump’s list for Supreme Court nominees — even want to overturn the famous ‘Marbury v. Madison’ Supreme Court decision that is the very foundation of the claimed authority by the Supreme Court to overturn federal and state laws that it deems unconstitutional. Ed Meese is a radical constitutional extremist and Kavanaugh is ‘Meese’s Man’. Meese was sitting in the front row next to Malania Trump for Trump’s White House announce-ment and introduction of Kavanaugh as his second Supreme Court nominee to replace Justice Kennedy. Kavanaugh was also under George W. Bush’s chief White House counsel and lawyer Alberto Gonzales as well as the Secretary to the President overseeing all document flow to Bush before, on and after 9/11, as well as all documents re Bush and Cheney’s terrorism and torture policies: ‘What Brett Kavanaugh Must Be Asked about Torture, Guantanamo, and Mass Surveillance’, The New Yorker, July 24, 2015. 6) The red flag of Director of National Intelligence Dan Coats’ going public right after the Trump-Putin Helsinki press event warning of a potential ‘Cyber 9/11’ and that ‘the warning lights are flashing red like they were before 9/11’ on Russian inter-ference in the upcoming 2018 election as the Trump Administration zeros out additional funding for election security for the States in the upcoming election and the National Security Council official overseeing election cyber security is relieved of his duties at the White House. There is a very real danger that Trump is setting the stage to attempt to postpone or cancel the 2018 Election if poll results closer to the vote look like the Republicans are likely to lose control of the House and/or the Senate on the pretext of alleged Russian interference. This show was broadcast on July 30, 2018. This entry was posted on Sunday, July 29th, 2018 at 7:52 am	and is filed under 9/11, Anti-War, Education, False Flag/Fake Terror, Freedom, Geopolitics, Justice, Kevin Barrett, Law, News, Protest. You can follow any responses to this entry through the RSS 2.0 feed. Hey, all praise to Kevin Barrett and Barbara Honegger. They’re fantastic. But it’s easy to forget that Politics is the Art of the Possible. If you were president of the U.S. you’d only be able to do what was possible. You can’t do what is not possible. Say you want to expose the truth about the assassination of JFK? But, for reasons we don’t know, it’s not yet possible. Well, you could use your power to make the CIA release classified documents on the assassination. Trump did this. And the released documents indicate that Lee Oswald was almost certainly not responsible. A small step, but progress. New history text books will have to include it. A big crack in the official story. The Art of the Possible. If you were president, like Trump, you might look around to see what you can actually, effectively, do. 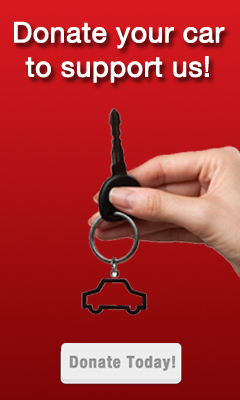 Your main priority has to be the economy. GDP is 1%. There are 100million American unemployed. A dying steel industry, dying coal industry, dying manufacturing industry, falling wages, collapsing businesses, and dying cities. So, you slash as many job-killing regulations as you can, slash job-killing corporation taxes, cut income taxes, provide federal funds for vocational training, and impose other measures, such as fighting illegal immigration. Look at the results. After less than 2 years in office, Trump’s executive actions have produced an economic boom. Four million new jobs. Four million off food-stamps. Black and Hispanic unemployment at record lows. But to fully boost the economy, you need good trade deals with other countries and, to prevent foreign countries from ganging up against America, you need an overpowering military. Trump’s done that with a $1.4 trillion investment. So far, so good. What else is a priority? Drugs. Drugs are rotting millions of Americans. So, you do what you can to stop drugs coming across the southern border. You beef up law-enforcement, and take action against the pharmaceutical companies and doctors selling addictive legal drugs. You do what you can. Doing good is more important than looking good. Maybe you want to depose the globalist bankers who are behind 9/11 and the 9/11 wars. But how do you do that? You do what is possible. You put four of your people into the Federal Reserve. That’s a chess move. You make other chess moves against the Fed’s attack dogs in the F.B.I. C.I.A. and mainstream media. You personally campaign against the veracity of the mainstream media. If these moves, and others, are successful – and you’re returned for a second term – conditions may be such that it WILL be possible to expose the people behind 9/11 and the 9/11 wars. Trump has also hinted that, when conditions are right, he will force the release of suppressed technologies that will enrich all our lives. Trump is an outsider. He’s made all the money he wanted to make. He’s not a professional politician. He wants to do good. He has one foot in the swamp, because he needs that in order to operate. But his other foot is on dry land. If he succeeds, he’ll drain the swamp. If he doesn’t, he’ll pull his foot out.